Basil Pesto is really easy to make and can elevate so many dishes. 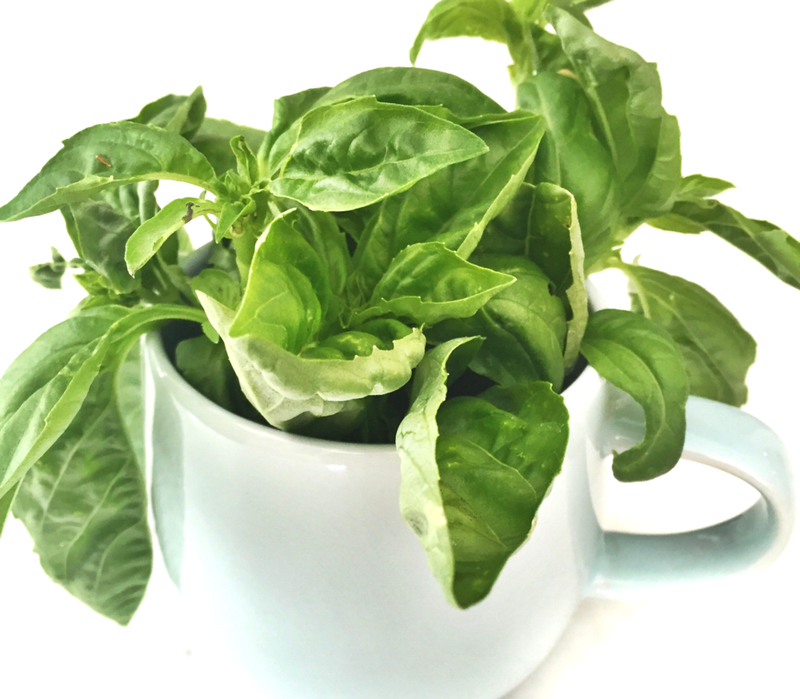 Basil is the quintessential herb of the summer, it really just adds its magic to such a wide variety of dishes. This simple trick will allow you to have a delicious basil pesto at your disposal, and inspire your dishes to go that extra length. Slowly add the oil and process until fully incorporated and smooth. Once your sauce is prepared, pour it out into an ice cube tray. This will allow you to have individual portions and use it over time. Once the sauce is frozen, I transfer the cubes into a zip lock bag so that I can have my ice cube tray back and ensure my sauce doesn't get any freezer burn. You can store it in the freezer for up to 3 months (which never happens because it is usually all gone before that). The beauty of this pesto is that you can simply prepare base meals and have the fresh basil flavor at your disposal. Using the individual portions from the ice tray, you can easily juggle around dinner for the whole week! - Pesto pasta, of course! Make some buttered pasta and toss it with your pesto. - Spoon it onto salmon and then bake it at 375 for 8-12 minutes. Add a squirt of fresh lemon. - Marinate your chicken in the pesto sauce and cook it as you please. - Have a slice of toast using pesto as the spread and top with sliced tomatoes - just the same you can and should use it as a spread for sandwiches! - Use it as a dipping sauce for steak. - Add some oil & vinegar to use it as a base for a salad dressing. You can also substitute the pine nuts for other nuts: walnuts, pistachio, cashews... Feel free to try new nuts and experiment with the taste & texture of this sauce. Have a wonderful week & Bon Appetit!